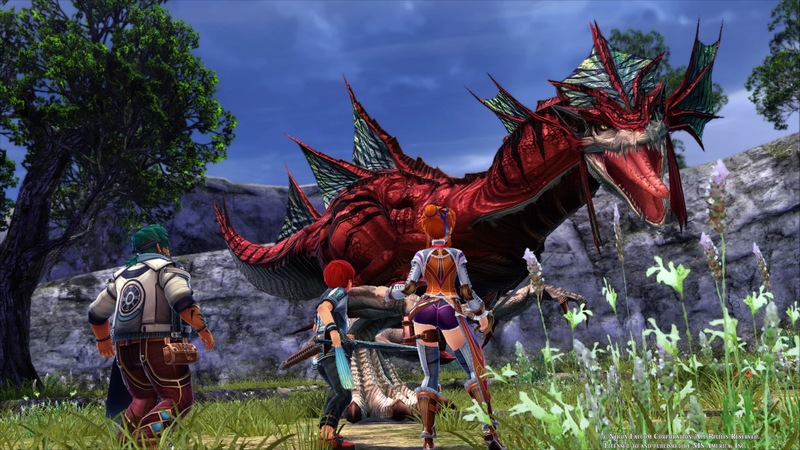 There’s been a lot of attention on substandard localisation work for Ys VIII: Lacrimosa of Dana, to the point that NIS America president Takuro Yamashita apologised for it and promised sweeping improvements. All that criticism was well-founded, but it also drowned out another really important detail: Ys VIII is a really good game. A simple but compelling game loop and energetic, satisfying combat make this one of the most enjoyable games of the year, shoddy localisation job or not. Ys VIII opens with longtime Ys hero Adol Christin serving as a crewmate on a fancy cruise ship, the Lombardia. A sudden Kraken attack leaves the ship in pieces, and Adol washes up alone on a deserted, monster-infested island. After a bit of searching, he runs into a couple of other survivors from the wreck—Laxia, a haughty noblewoman, and Sahad, a jolly fisherman—and they partner up to find a way off the island. Before long, they run into a couple more survivors: the ship’s captain, Barbaros, and Adol’s longtime friend Dogi. According to the captain, they’ve washed ashore on Seiren, an infamous, cursed island known to sink ships that get too close, and from which no adventurer has ever returned. With their stay looking longer than anyone would like, the group finds a safe place to set up a camp, from which they can search the island for other survivors and a way to escape. This neatly sets up the gameplay loop that makes Ys VIII so compelling: exploring Seiren, recruiting new survivors for the growing Castaway Village, finding materials to improve the camp’s facilities, and fighting increasingly tough monsters along the way. Initially, you can explore only a few areas close to camp, but that’s enough to find a few other castaways. Most won’t join your adventuring party—they’re not fighters, generally speaking—but they help out by running various facilities in the camp: a forge where you can upgrade your weapons, a tailor’s workshop where you can create armour, a makeshift pharmacy where you can mix potions, and so on. If you like Ys, you might want to check out Zwei: The Ilvard Insurrection. It’s another action RPG from Nihon Falcom that finally got localised this year, almost a decade since its original Japanese release. Most of the island is locked off to start with, because the paths to new areas are blocked by things like boulders or overgrowth. With more people in Castaway Village, though, you’re able to start clearing some of those, allowing you to venture out further and find still more castaways to join the community. Examining an obstacle tells you how many people you’ll need to clear the way, while also putting a note on the map so that you can easily find it again later. As you explore, you also find pieces of Adventurer Gear that also help open new paths by giving new ways to interact with the environment. A pair of sturdy gloves lets you climb ivy to reach otherwise inaccessible areas; a glowing stone lets you navigate treacherous, dark caves; one strange artifact gives you a double jump, and all the extra mobility that comes with that. These Zelda-like progression tools aren’t new to the Ys series, but in Ys VIII they complement an already strong foundation of exploration. If all that running around and backtracking sounds tiresome, worry not—you can freely teleport to any place you’ve been to before. There are crystals dotted about the map that serve as warp destinations (as well as healing you), but they’re plentiful enough that you never have to retread too much ground if you don’t want to. You can teleport from anywhere, too, so you don’t need to worry about returning to a crystal before you jump away to another part of the map. Naturally, there are plenty of monsters out in the wilderness, ready to attack at a moment’s notice. Fortunately (and unsurprisingly, given the Ys series’ history), combat is another area where Ys VIII thrives. 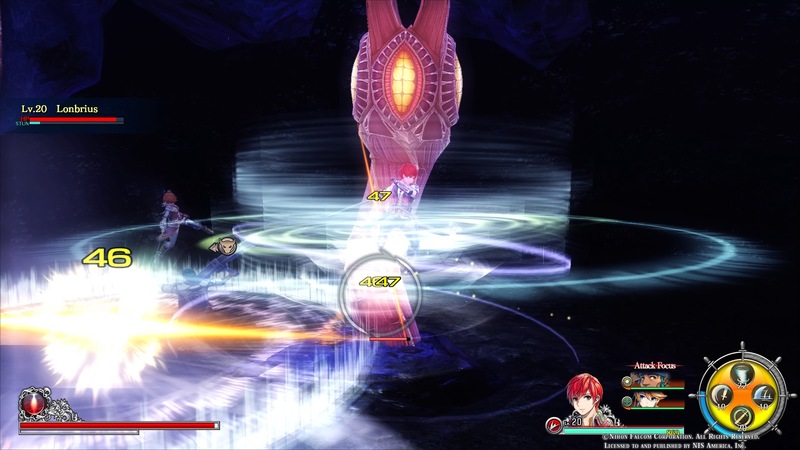 At the most basic level, it’s a standard action RPG setup: you’ve got regular attacks that can be chained together for a three- or four-hit combo, four slots for special moves, a dodge move, and a parry. A well-timed dodge (called a Flash Move)slows down time briefly, while a perfectly-timed parry (Flash Guard) deflects the incoming attack and gives you guaranteed critical hits for a few seconds. Unsurprisingly, given the Ys series’ history, combat is another area where Ys VIII thrives. None of this is unique to Ys VIII, but the game combines all these elements in a way that makes combat incredibly satisfying. Easier encounters can be button-mashed through well enough, but they’re also a low-stakes way to practise Flash Guards and Flash Moves; once you get the hang of those, each fight—even the easy ones—becomes a sort of dance, as you fish for those flashy, efficient counterattacks. Once you’ve fought a few of a particular foe, parrying its every move becomes almost second nature, and you get to feel like a real badass, barely stopping as you breeze through group after group. On top of that, each character deals a certain type of damage, depending on their weapon—either slashing, piercing, or striking. Most enemies are vulnerable to one of those types; do enough damage with a weapon that a foe’s weak to, and it’ll “Break”, becoming vulnerable to all types and losing defence. The key, then, is to identify an enemy’s weakness, switch to an appropriate character (which you can do at the press of a button), and then go to town. Again, there’s nothing unique here, but it adds another layer to Ys VIII’s already dynamic combat and encourages you to try out different characters. Bosses are trickier, as you’d expect, but they have that same basic, satisfying design: learn their attack patterns, then dodge and parry your way through so that you can lay down some hurt. Bosses’ attack patterns tend to be a bit more complex, and they have the added wrinkle of weak points; attack those, and you’ll do a lot more damage. Instead of simply wailing on a boss, it’s far more efficient to attack different parts of their body, find a weak point, and then focus your attention on it. One thing I really appreciated about Ys VIII is that it’s quite an easy game, if you want it to be. 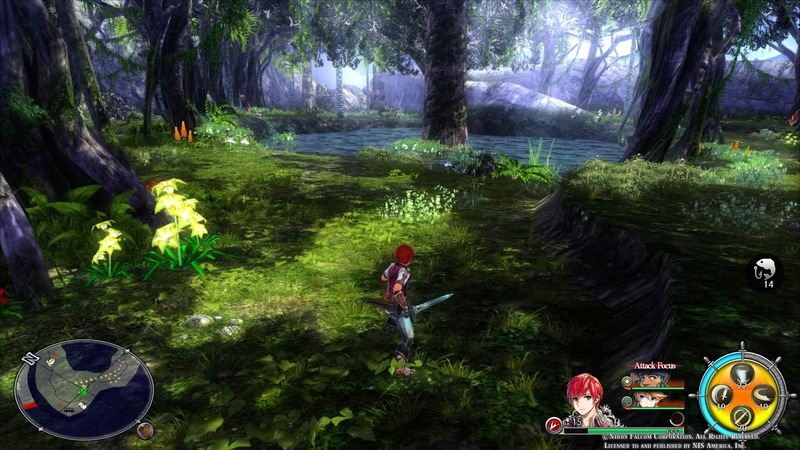 Ys has a reputation for being quite challenging, and Ys VIII is no exception if you play on the higher difficulty settings, but the lower end of the scale is far more approachable than any other game I’ve played from the series. Crucially, combat is still satisfying and rewarding on lower settings—”skillful” playing is still more efficient (and more fun), but there’s less at stake, so you can just enjoy each fight. On the other end of the scale, mastery of the game’s systems and each boss’s attack patterns is more or less required for higher difficulties, making each fight tense and exciting, and each hard-fought victory an accomplishment. As you fight and explore the Isle of Seiren, its mysteries slowly become more apparent and Ys VIII’s narrative slowly builds up. The main plot is probably the weakest part of the game; it’s not bad per se, just very formulaic and forgettable. Some of the castaways who join the camp have interesting little story arcs that unfold through sidequests, but none of them are particularly compelling characters. The clunky dialogue in the current version of the game is at least partly to blame for the general lack of personality among much of the cast, so hopefully the promised update will address some of those issues. 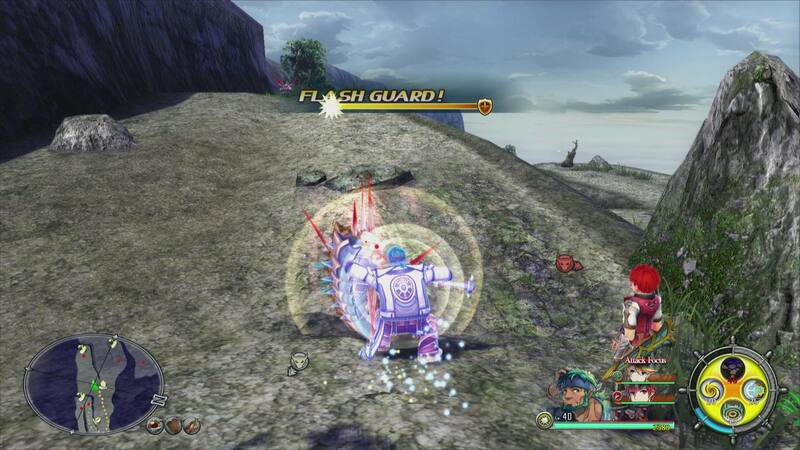 But, like most games in the series, the story in Ys VIII mostly serves as a backdrop to the action. It gives context to the adventure, gives the characters a reason to push ahead, and it tends to keep out of the way—letting you instead focus on the combat and exploration that are the game’s strong suits. I’m looking forward to seeing the results of NIS America’s efforts to revamp the localisation, because improvements there would only make a good game better. But even as it stands, Ys VIII: Lacrimosa of Dana is a captivating action RPG that’s hard to put down. Simple systems all come together beautifully, and slowly mapping out the Isle of Seiren is an incredibly satisfying experience. If you enjoyed my review and plan to buy Ys VIII: Lacrimosa of Dana, you can support Shindig by using this affiliate link. Ys VIII: Lacrimosa of Dana is developed by Nihon Falcom and published by NIS America. It’s available now for PlayStation 4.